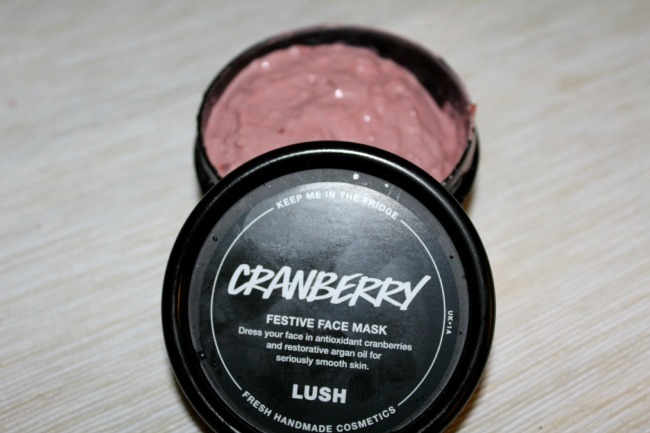 I may or may not have already made my Christmas order to LUSH (whoops), and, having tried just a few of their face masks before, I had to pick up the cranberry one. With argan oil and rose clay in it, it's perfect for softening your skin at winter. So you can totally combat the slightly grim roughening of skin we all suffer from as we battle our way around in these gripping winds. And yes, I am looking out at the endless rain in England, thinking again how desperately I'm going to need this if I don't want to end up with rock-like tough skin! Face mask night is my favourite night of the week. Me and my housemate/best friend get get together and try out a new product or go for an old favourite. On this particular occasion however, my other half got involved, and there were foam peanuts lying around. Hint for the future: avoid all male contact during face mask time Steph. In the end though, we had great fun taking some horrendous photos of ourselves with the peanuts and the face masks made our skin uber soft. What's your face mask ritual? I never tried a mask from Lush - i did try a scrub thing and it was amazing. Their products are of such a great quality! Lol at the avoiding males warning! This looks so fun! haa, seems like you had a great time. Looks like you had fun! I have the 'Don't look at me' fresh mask and it's bright blue! Can't get enough of it! But I like the sound of this one, I may purchase that on my next Lush shopping trip! I'm currently looking for a new facial mask. Your post made me want to look into LUSH.